Still there? Seriously? Okay, you’ve been warned. 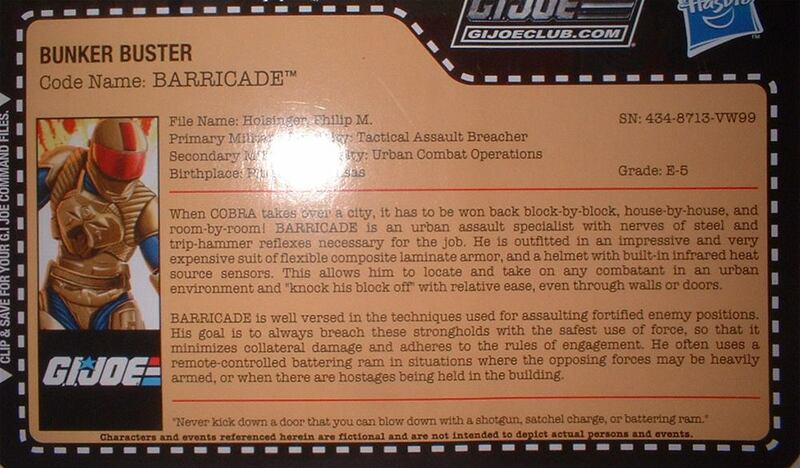 It’s Barricade and the Cobra Ice Ninja! Okay, I’ll give the Club props for trying something new with this figure. 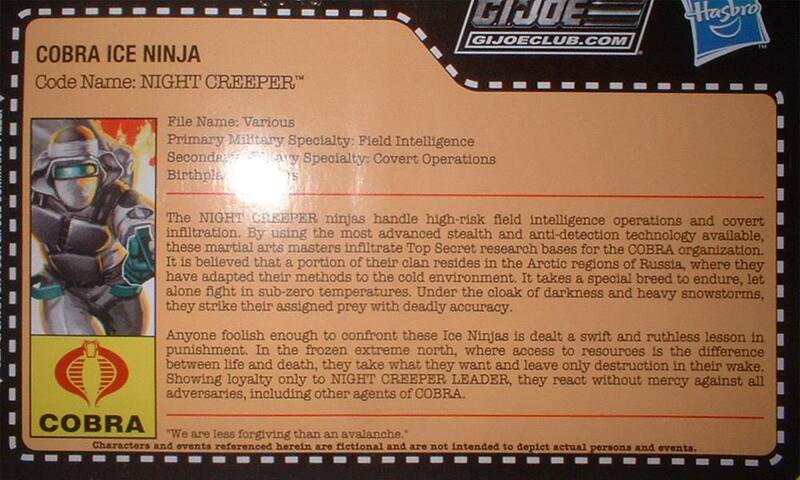 He seems based on the old 1998 TRU Night Creeper v4. 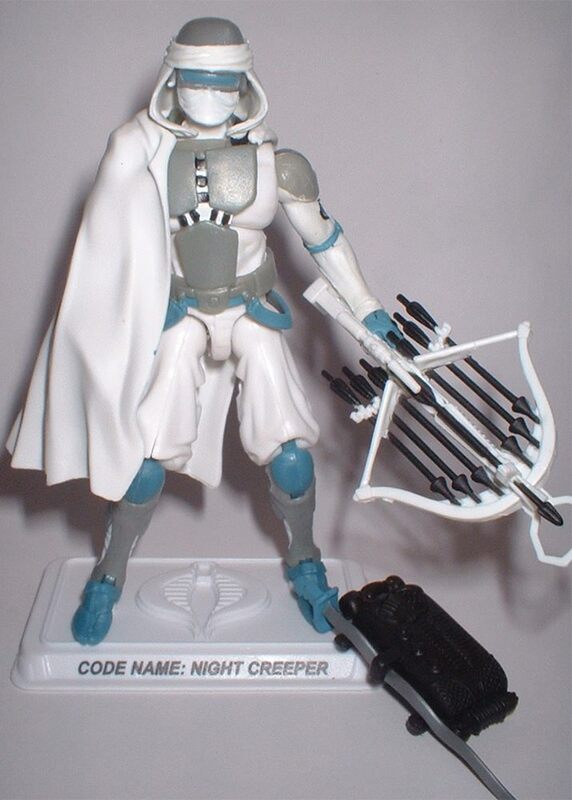 However, there’s just something about his color scheme that seems a bit flat to me. Without seeing him in person, he reminds a lot of the color of Aqua-fresh toothpaste which is just kind of amusing. He’s got the Retalition Storm Shadow legs, which I do like, but I’ll have to see the rest in person before passing final judgement. So there you have it, Joe fans! G.I. 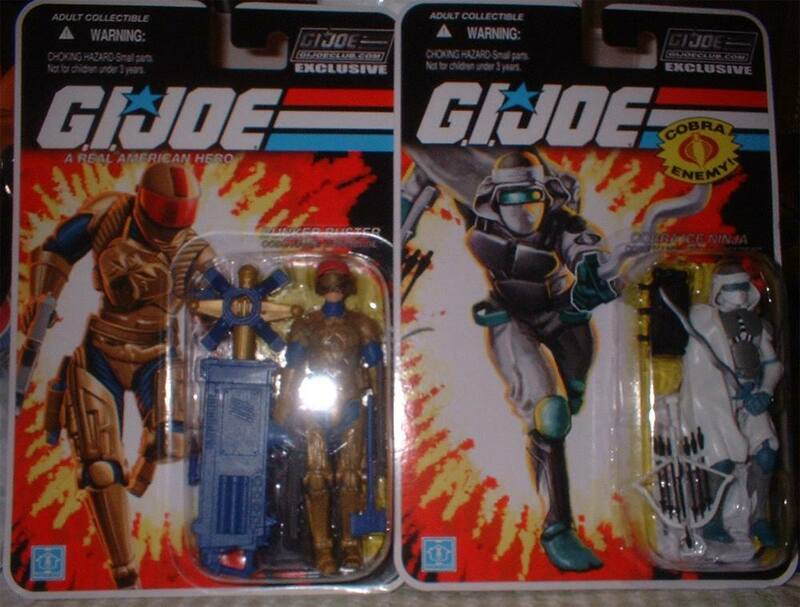 Joe FSS 4 Shipment 2 should be in the hands of most subscribers by the end of this week. Keep your eyes peeled here to JBL as we’ll have reviews of these figures posted soon. In the interim, what do YOU think of these figures at first glance? Love ’em? Hate ’em? Feel free to sound off in the comments below! 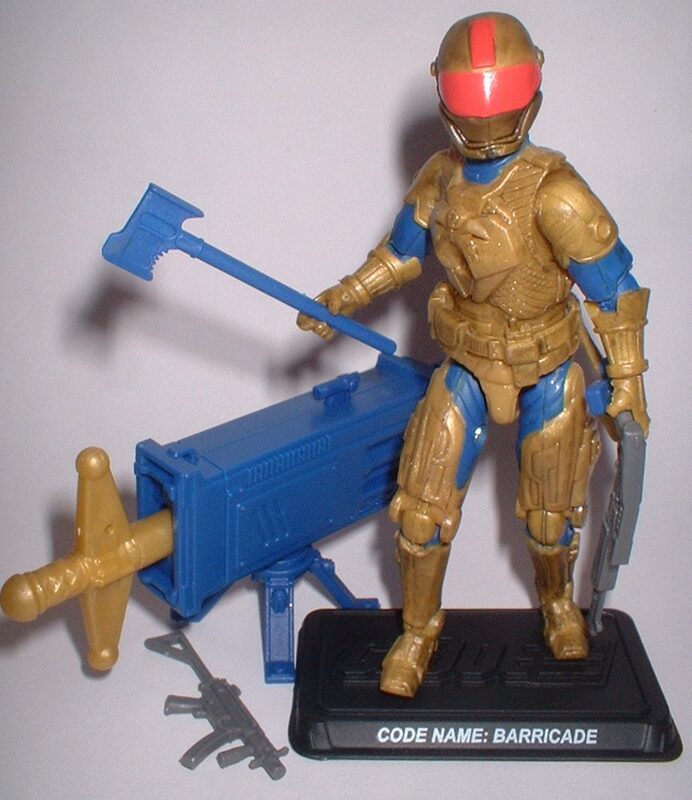 This entry was posted in Collector's Club, Toys and tagged 1992, 1998, 1:18 scale, A Real American Hero, Barricade, Broken Arrow Toys, Cobra Ice Ninja, Collector's Club, Exclusive, Figure Subscription Service, Night Creeper, Toys by Fred Meyer. Bookmark the permalink.